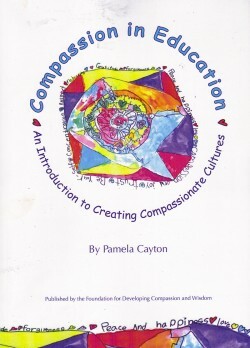 Universal Wisdom Education is delighted to share with Mandala readers this exclusive interview with Pam Cayton, author of the recently published Compassion in Education: An Introduction to Creating Compassionate Cultures. The book is the first to present a comprehensive overview of The Seven Steps to Knowledge, Strength and Compassion, a teaching methodology developed by Pam Cayton and a dedicated team of teachers over the last 20 years at Tara Redwood School in California. Pam was interviewed by UWE’s Ana Aguirre. My belief was that if children could develop an understanding that the source of happiness lies within their own mind and not in material possessions and entertainment, this would become the seed for developing psychological and spiritual understanding. Can you explain why you think this “inner knowledge” is relevant for children and educators in today’s world? This is a relevant question no matter what era or time in history – the 21st century is no exception! I believe our true source of happiness is internal rather than external and due to the interconnected nature of all things, this understanding sits at the core of our very survival. As individuals, we depend on countless beings to sustain us and they depend on us. If our education systems taught children this and focused more on educating the inner knowledge of a child, then children would be more selfless, content, appreciative and compassionate. If cultures, governments, corporations and the media also adhered to these basic principles then there would be fewer problems and this world would be healthier, safer and sustainable. We live in a fast-paced world. Politics, science, technology and the media drive change and affect every aspect of our lives. Alone and collectively, they offer many advantages, but they also bring challenges. In particular, media, in all its forms, is extraordinarily pervasive and seductive in selling one main idea through advertising and multi-millions of commercials, namely, that more equates with happiness. This constant bombardment creates such strong desires that we obsess with the need to have more possessions, more pleasures and to be more perfect. And the more we crave, the less satisfied we are because there is always more, more, more to have and to get. In turn, these feelings of dissatisfaction trigger other harmful emotions such as greed, anger, stress disappointment, jealousy and boastful pride. What inspired you to write Compassion in Education and how do you think it can help teachers, parents and educators out there? I believe many teachers, parents and people have a similar wish to impact the world in a positive way. When I began this work it was with the specific intention to plant the seeds that would grow and spread into something much greater. For two decades we had been developing these principles and techniques through Tara Redwood School in California. However, I realized that if we put energy into just one location, one school, we could reach only a tiny percentage of children, families and teachers. At this point, I also knew if we published our ideas, created training programs and made them available to people everywhere, we had the potential to go out to the world, to reach and affect a multitude of communities and cultures. Our purpose was to create universal education, not specific or limited to one particular social structure and setting. What we have created is an adaptable approach that offers a philosophical and practical framework, tools and curriculum to awaken and nurture knowledge, strength and compassion, in any environment. By doing so, we are contributing to the fulfillment of the wish of Lama Yeshe, Lama Zopa Rinpoche and His Holiness the Dalai Lama, who continue to provide inspiration and guidance for this mission. In the book you refer to the Seven Steps, can you briefly explain to us what the Seven Steps methodology is? The Seven Steps is a philosophical and practical teaching framework. 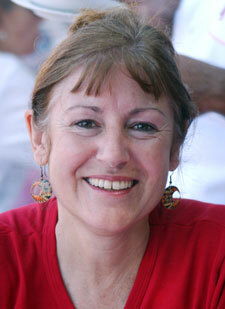 It grew organically, over 20 years of working with children between three- and 10-years-old. The steps take a secular approach to awakening knowledge/wisdom, strength/confidence and compassion/kindness. Although based on ancient Buddhist philosophy, the steps are universally relevant, secular and applicable to the world today. The steps are circular, not linear as the word “step” may suggest. Together, they offer an insight into the nature of the external world, our own internal world (psychology) and the interconnectedness between the two. The philosophy and methodologies are not limited to school children, but rather, they are a framework and guide for living life to the fullest with integrity, wisdom and an open heart of compassion, and can be used in the home, work place or any environment at all. Through the Seven Steps, scientific, logical reasoning and practical application offers teachers an alternative map on which to base their curriculum, without compromising the subject requirements of any mainstream learning programs. The framework evolved from seeing a need to awaken a more wise and kind attitude in the minds of children. To achieve this, we guide children through logical reasoning, reflection and mindfulness to explore their inner world of thoughts and feelings. Through dialogue and simple questioning, the child’s ability to logically explore ideas allows their innate wisdom to quickly awaken. Children like things to make sense, and it is our job as parents and educators to guide children to understand their inner world and to nurture their empathy, compassion and wisdom. Underlying all our actions is a seemingly unconscious need or wish to be happy in every moment. However, this intention, which lies beneath every action, mostly goes unnoticed unless we begin to explore the question, what do I really want? To answer this, we need to search within and as a result, we discover that the true source of happiness lies within our own mind. Next is the question how can I find true happiness? Our utopian vision of the kind of culture we wish to create is no different from everything that exists in the tangible world, that is, it does not arise from nothing. Everything depends on causes and conditions and nothing exists independently. Therefore, it stands to reason that given the interconnected way in which all things exist – every action causes a reaction – we are all co-creating the cultures in which we live. A great advantage is that everything in this vast interconnected universe is constantly changing. Change happens whether we like it or not. In fact, it is advantageous for us as it allows for infinite possibilities. Change supports positive attributes such as resilience, strength of belief in oneself, perseverance and patience. Recent breakthroughs in neuroscience now show that the brain changes according to thought. Scientists talk about neuroplasticity as changes that occur to the brain as a consequence of repeated behaviors. As we become more familiar with the way our mind creates our reality, we can change harmful habits. We are able to rewire our brains through mindful intention and the knowledge of interconnectedness and the impermanence of all things. To know that everyone really wants happiness and has his or her own perspective, enables us to see things from a wiser viewpoint and behave in ways that positively impact ourself and our surroundings. The wisdom that awakens through the understanding of the first four steps – intention, interconnection, change and perception – naturally develops such attributes as respect, generosity, patience, flexibility, acceptance, tolerance and teaches us to question our assumptions. A major result of developing these positive qualities is a decline in conflict and arguments. Our mind opens to understand other perspectives and our heart opens, allowing for the transformation of emotion. We can see our feelings for what they are – not who we are – and know they are transient, like clouds in the sky. Empathy develops along the way too. We awaken loving-kindness for our global family through the knowledge that we all want the same thing, we are interconnected, forever changing and creating our reality and subject to emotional and physical suffering. Even the animals want happiness and the absence of suffering. In this way, we extend our understanding to all life, our empathy deepens and compassion expands. With the seventh step, we are reminded of the preciousness of others. We not only wish to relieve their suffering but also guide them to happiness. We take action, no matter how small and have the strength of belief in ourselves to make a positive difference and benefit others. It is through practicing service for others, again and again and again, and easing countless sufferings that we discover and experience the true source of happiness. In the book you give some lesson plans, how could a parent or a teacher that is not familiar with the methodology use these ideas? What do you recommend? Firstly, we developed the lesson plans to be accessible to teachers, parents or anyone interested in the philosophy regardless of cultural and/or educational creed. People can either implement the specific lesson or adapt it accordingly. Although the lessons were developed for children three- to 10-years-old, they can be adapted for younger and older audiences, including adults. The philosophical points are universal. They should not be limited by lack of available materials or age groups, but rather be adapted to meet the needs of every age, gender and cultural group. Copies of Compassion in Education are available from Wisdom Books, Karuna Books and the FPMT Foundation Store. You can also get them directly from Creating Compassionate Cultures.